The Bendigo girls got on the bus at 8.45am Sunday morning, maybe not all completely awake. Mason was picked up on the way out of sunny crisp Bendigo. On the bus was Charlotte, Ruby, Jessica, Morgan and Abbey all revving to go, it was the preliminary final! It’s a long, long way to Mont Albert, and that’s just from Lancefield in a comfy ute. I can only speculate what it’s like in a minibus from Bendigo. Division 3 men’s, Altona vs Bendigo at Maiden Gully. Another pleasant afternoon in Maiden Gully, after really horrible weather on Friday. It’s been a good winter for playing lacrosse, almost charmed (though farmers up north would beg to differ) and the ground is still without mud going into August. Nice. Men’s Division, 3 Bendigo vs Malvern at Malvern Town Hall Ground. For the Warhawks, the nice weather may stand as the only real highlight to report for this game. Rain fell all morning and for much of the drive to Malvern; then as we arrived, the cloud broke up and the ground was bathed in sunshine for most of the game and rain held off. Division 3 Bendigo vs Williamstown at Maiden Gully 2/6/18. Division 3, Bendigo vs Altona at Altona, 26/5/18. Some games you just have to move on from. The Warhawks hosted Malvern at Maiden Gully last Saturday. The weather was fairly cold and sunny in parts, but no rain, which was good. Malvern were running late and were short of players to begin, but eventually had tardy arrivals boost them to 12 as the first quarter progressed. Bendigo began with 12. Match Lacrosse report: Division 3, Bendigo vs Chadstone at Maiden Gully, 12/5/18. As the Warhawks arrived at Maiden Gully last Saturday, the foul weather seen earlier in the week had now largely passed through, leaving the ground nicely watered and excellent for lacrosse. The sun even shone for some of the afternoon. With yet another nice, sunny Saturday in Bendigo now almost seeming monotonous, the Maiden Gully oval looked a picture after rain earlier in the week. The Warhawks took the field with 13 players, while Footscray arrived with 14 to start. 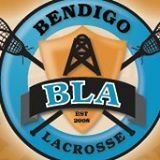 Match Report Lacrosse report: Division 3, Bendigo vs Caulfield at Caulfield Park, 28/4/18. After one of the longer car trips in Victorian lacrosse, the Warhawks arrived at Caulfield Park and were welcomed by bright sunshine. I suppose winter will eventually turn up some time, but certainly not this week. The Bendigo team fielded 13 to start, while Caulfield could only muster 11. Match Report Division 3, Bendigo vs Eltham at Maiden Gully Oval 21/4/18. A glorious sunny afternoon greeted players and spectators alike at Maiden Gully last Saturday afternoon. Perfect autumn conditions; in fact perhaps even a little too hot for lacrosse. It was another very warm night but it was all worth wild with a very tight finals series. ...and thus another season closed for the Warhawks. A season that shows just how far we’ve come as players and as a team, with the regular floggings of 2009 now a distant memory. The Warhawks convened at the Park St ground at Royal Park in Brunswick and with earlier signs of bad weather moving on, the sun became a real consideration for team captains at the toss for ends. It was chilly, but great for running around in. The ground was soft and the cricket pitch area a little treacherous, but nothing to whine about. Match Report Lacrosse Division 3, Bendigo vs Caulfield at Maiden Gully, 5/8/17. Last Saturday the weather on the drive up to Bendigo looked like it could be bleak, but in the course of the afternoon, it turned out to be perfect conditions to play lacrosse in: overcast, cold, but with no rain until about 10 minutes after the game finished. Lacrosse Division 3, Bendigo v Altona at Paisley Park Altona, 29/7/17. Bendigo travelled down to Altona’s home ground to face Altona/Wyndham, with thirteen players. It was a very clear sunny day but with a howling wind which caused our bus operator to drive 10 to 20K below the speed limit. Lacrosse Division 3, Bendigo v Chadstone at Maiden Gully, 22/7/17. I think there is one more game before we see our beloved scribe come back, Mr John Webb! Today was Alex Orr’s 100th game for Bendigo. Well done Champ! Bendigo were playing Chadstone at home, who thrashed the Warhawks by 21 goals in their previous encounter this year. This was due to Chadstone dropping 5 Div 1 players to play in their Div 3 side! Yes, John Webb is still away and you’re stuck with me again! Today Bendigo Warhawks were playing for the Webb Family Cup against Eltham at Maiden Gully Rec Res, who were last year’s premiers. Furthermore, win this game and Bendigo could secure a top four position. A note for all readers Bendigo’s regular scribe is away on leave with family, so I’ll try to keep the high standard set by John Webb. Match Report Lacrosse Division 3, Footscray vs Bendigo at Footscray, 17/6/17. The Bendigo Warhawks assembled at Angliss Reserve in Footscray on Saturday, to take on top side, Footscray. A little confusion over which of the brand-spanking, new change rooms to use was soon cleared up, and the Warhawks warmed up with 15 players, in pleasant, warm sunshine on a flat well-mown strip. Footscray had 14 to start. Match Report on Division 3, Bendigo vs Caulfield at Caulfield, 3/6/17. Blimey, it’s a long way to Caulfield. Lots of time to think about the game ahead: Will the museum-grade gear hold together? Will the knees hold together? Will I be walking on Sunday? Can I get the “Player Mode” switch in my head to work? That switch is so maddeningly hit-or-miss, these days. Can we ever get that man-up play to work….? The long drive to Eltham was pleasant in cloudless sunshine, but things changed as we prepared for the game and by the start of the match, persistent light rain set the scene for the rest of the afternoon. The ground was heavy, with long grass and slippery mud at the Main Rd end. But then, it wouldn’t be Eltham without the mud; even in early May. On Saturday, the Warhawks made their way to Paisley Park, Altona and under bright sunshine and on a remarkably good surface, did their final warm-up and stretches for the season while the Altona team began to slowly appear at the sideline. Match Report Lacrosse, Division 3, Bendigo vs Footscray at Bendigo, 13/8/16. A pleasant Spring-like afternoon in Bendigo greeted my car load of kids and dogs on Saturday. And I was heartened to see a good turnout in maroon and even more so to see lower numbers in green and white. Footscray sent up ten players, with stalwart Greg Mollison forced into a bench coaching role with a crook hand. Bendigo fielded 14. On a cold Saturday afternoon the Warhawks made their way to Brunswick to take on Melbourne University at home. The ground was in miraculously good order after much rain in preceding weeks and after the game I was able to simply knock some wet grass off my boots and re-stow them clean. With the last few weeks being almost entirely rainy, it was pleasant to be greeted by bright sunshine last Saturday, and to have it stay that way for the whole day. We’ve been selected to participate in Local Matters at Grill’d Bendigo this July! Lacrosse Division 3, 25/6/16, Bendigo vs Footscray at Yarraville. Match Report Division 3, 18/6/16, Bendigo vs Caulfield at Bendigo. Lacrosse Division 3, 18/6/16, Bendigo vs Caulfield at Bendigo. Match Report 4/6/16, Division 3 Bendigo vs Altona at Lynch Res. Altona. Heavy cloud and a dark threat of rain formed the ominous backdrop for the drive to Altona last Saturday. Misty rain fell for much of the day, but the ground was in good order. The Warhawks arrived with eleven players, including an injured Ian Lock, who with a show of pluck, put his hand up for goalie. Altona had 12 to start. On Saturday, the weather was keeping us guessing on the long drive to Chadstone, but as luck would have it, the rain held off until about 15 minutes after the end of the game. Match Report 21 May 2016 Round 6 Bendigo v Melbourne University. It was a cloudy but nice day for lacrosse. Earlier in the week Melb Uni requested an early start of 1.30pm which Bendigo agreed. Bendigo had thirteen players suited up with the return of Timmy Davies. However there were three players sidelined due to injury, work or wedding function. The bus was waiting for the team at Londonderry Reserve next to Girton. One by one they arrived: Christian, Penny, Matthew, Patrick, Henry, Charlotte and Sebastian. We had seven eager and excited players not knowing what to expect. We left Bendigo at 7.45am. Lacrosse Report. Division 3 Bendigo vs Williamstown at Maiden Gully Rec Res 7/5/16. On Saturday afternoon a few of the boys got to Maiden Gully Rec Res early to prepare the ground for our first home ground of the season. The ground was set up and ready go by 1.30pm. Lacrosse report. Division 3 Bendigo vs Eltham at Eltham 16/4/16. It was line ball whether the games were going to proceed or have penalty shoot out to decide all positions. Luckily for most players and organisers the temperature did not venture over 35C, as Bendigo Lacrosse Association Policy is that the games would have been cancelled if the temperature was 36C or higher. The day started with a couple of girls not being able to attend, however we had enough numbers to field a team with one interchange. Saturday was a chilly and overcast day and we had a fairly wet Maiden Gully ground to play on. Bendigo started with 12 players, while MCC had 13 to start, and Gino’s experienced eye noted a couple of extra players added in from the last time we played them. On Saturday it was pretty cold, but turned out to be a nice afternoon to play lacrosse. Not windy and with a little sun. Last Saturday, the Warhawks hosted Malvern at Maiden Gully ground. A gloomy and overcast day greeted arriving players, and at the toss of the coin, sun position had no bearing on chosen end. On Saturday, the Warhawks travelled to Albert Park to take on MCC. It’s always a pleasure just to arrive at the historic Albert Cricket Ground and such a nice change from the recovered tip sites, rough footy ovals and odd-shaped spare Council parkland that usually serves as division 3 lacrosse fields. The weather was fine, and chilly. Great to play in. On Saturday, the Warhawks travelled to bay side Newport on a lovely sunny afternoon. However it didn’t last long, as soon as we arrived at the ground the clouds started to roll in with cold winds from the North West blowing hard. Yep, winter is only a day away. On Saturday, the Warhawks hosted Caulfield on a glorious, bright and sunny afternoon. A last hoorah for Autumn. The Caulfield team arrived in stages, and we were only able to face-off going towards 3pm. Caulfield had16 to start, Bendigo had 14. On Saturday, the Warhawks travelled to Caulfield Park to take on Malvern. The weather was clear and sunny (even something a bit like balmy) as we warmed up to play. Malvern had 15 to start and Bendigo 13. On Saturday, the Warhawks travelled to Parkville to battle Melbourne University under threatening skies and a prediction of showers. However, they never came, and we even had some sun to shoot with in the third quarter. Uni had a predominantly-youthful 16 to start, Bendigo had 13. Another awesome, sunny Autumn Saturday at Maiden Gully, and the Bendigo Warhawks hosted the MCC division 3 team. Coming off a confidence-building win the week before, the Warhawks felt that they had a definite chance to make it two in a row. Well, I may as well start out by saying WE HAD A WIN!! !